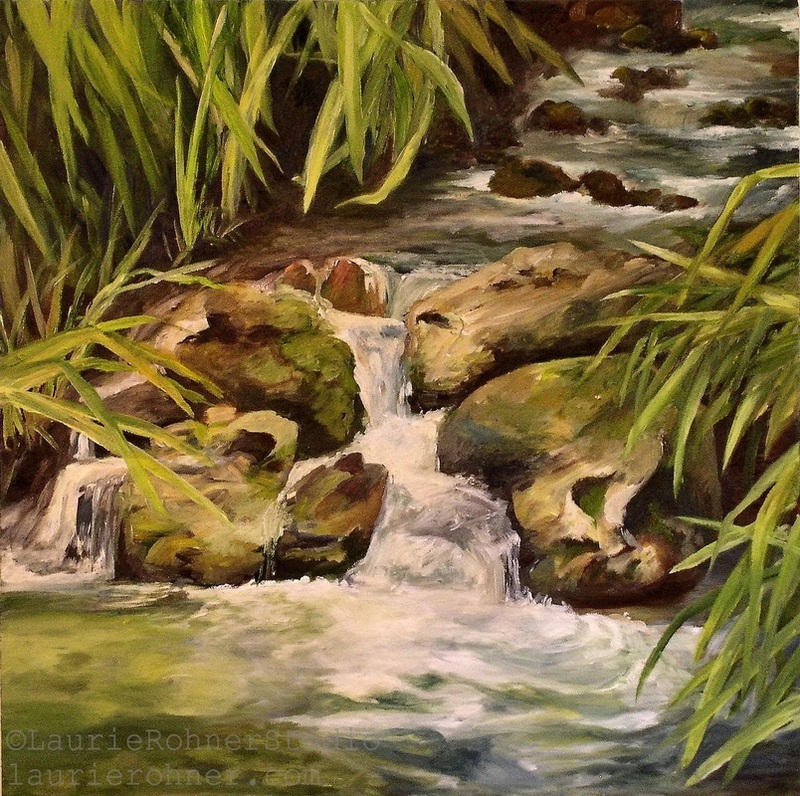 Nature Art Water Oasis Original paintings oil landscape by Laurie Rohner. Notice the moss growing on the rocks and the gazing pool of water in the foreground and can't you hear the birds calling in the fauna growing on the sides of the stream? Imagine you are standing watching the bubbles form as the water gurgles down the rocks into the gazing pool. Very serene and peaceful painting and excellent for baths or meditation rooms. The painting is on museum wrapped canvas (7/8" deep) with staples hidden on the back with wood. 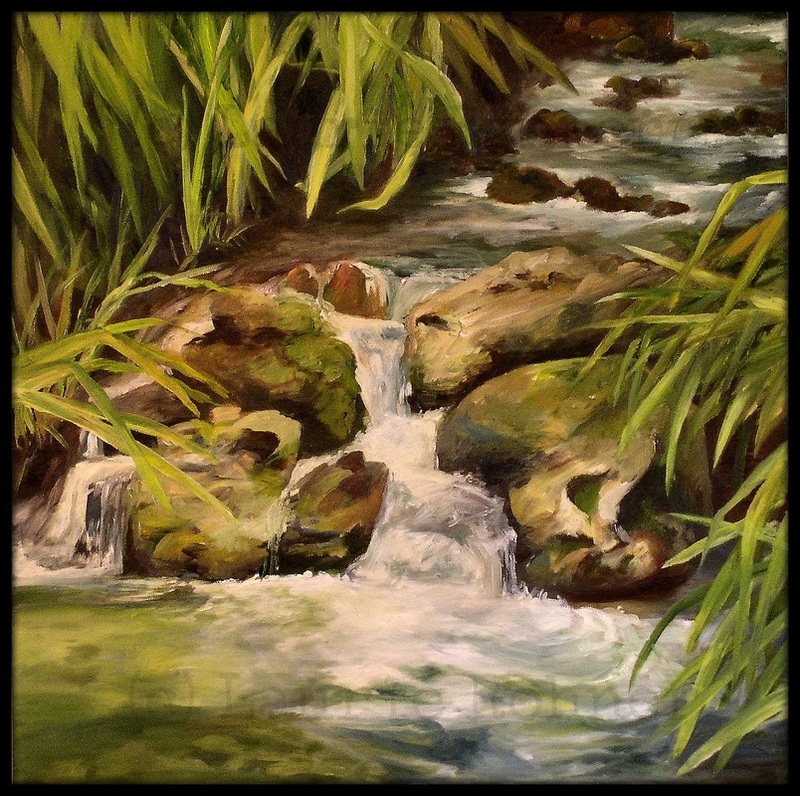 This painting has beautiful color and a great finish from high quality oil paints.